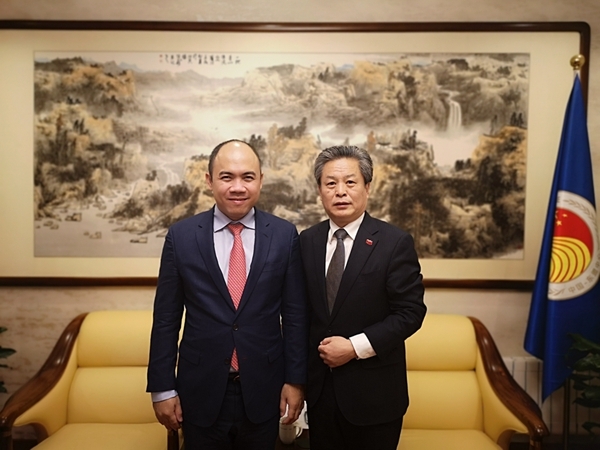 On 18 March 2019, Mr. Kung Phoak, Deputy Secretary-General of ASEAN, visited the ASEAN-China Centre (ACC) to exchange views with ACC Secretary-General Chen Dehai on jointly promoting people-to-people and cultural exchanges between ASEAN and China. Secretary-General Chen welcomed the delegation and thanked the ASEAN Secretariat for its long-term support to ACC. 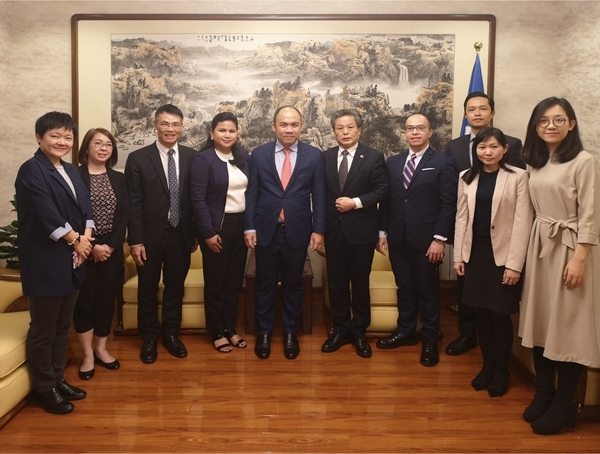 He briefed on ACC’s mandate and work, and expressed readiness to keep close cooperation with the ASEAN Secretariat to advance exchanges in trade, investment, education, culture, tourism and information and media, deepen people-to-people connectivity and make new contributions to the sustained and in-depth development of ASEAN-China strategic partnership. Deputy Secretary-General Kung appreciated ACC’s contributions to strengthening friendly exchanges and cooperation between ASEAN and China. He said that the ASEAN Secretariat would continue to support ACC’s work and explore the possibilities of jointly conducting activities related to cultural exchanges with a view to boosting understanding and friendship between the people. With ASEAN-China relations entering a new era, both sides should increase input in people-to-people and cultural areas to cement public support for the development of ASEAN-China relations.